When an employee is terminated without cause and offered a package that is very modest, but otherwise compliant with the employment contract, a common first step for his or her lawyer will be to see if the contract can be set aside. If the contract can be declared void, the employee can try to pursue the typically much greater common law damages. the termination provision provides less than the minimum required in the Employment Standards Act (ESA), including if there is no reference to continuation of benefits at least through the ESA notice period. the contract references at–will language and/or is governed by a US jurisdiction and disentitles the employee to minimum standards. the contract was entered into after the first day of employment. The Ontario Court of Appeal released Wood v Fred Deeley Imports Ltd. (2017 ONCA 158), a decision that addresses a few of these enforceability issues. This blog post will focus on the issue of signing the contract prior to the start date. Prior to this case, it was commonly held that an employer must have the employee sign the employment contract prior to the first day of employment. This is based on the contracts principle that consideration (a benefit) must flow between the parties in order to enter into a legally binding contract: the employee provides services and the employer pays for them. The terms of those services and compensation must be set out prior to the commencement of the contract. 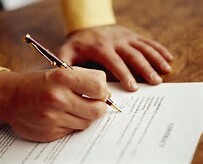 If a contract was introduced after the start date, the employer was required to provide fresh consideration, such as a signing bonus. Mere continued employment is not sufficient consideration in Canada. Contracts were set aside if the employer had the employee sign a contract after their start date, and the contract included an adverse term such as a termination provision that limited the employee’s default common law entitlements. This was deemed to be changing the deal after the fact. The contract did not contain any additional material terms she hadn’t already agreed on through email or on a telephone call a week prior to her start date. … The signing the day after she started working was no doubt a matter of administrative convenience. Deeley did not unilaterally impose a new term of her employment. Fresh consideration was therefore not required. This conclusion is a big deal. The Ontario Court of Appeal has declared that there will be no more setting aside of a contract on the technical detail of signing after the start date if the facts don’t otherwise support the need for fresh consideration. This is good news to employers who often have logistical headaches getting the formal employment contract signed prior to the start date. For example, an employee may not have a scanner or the means to conveniently return the signed employment contract prior to the start date. Most employees have email, and a very deliberate and careful exchange of email setting out the contract, preferable attaching a copy of the final version of the contract, and then getting email confirmation will likely suffice, pending the employee signing off when they arrive on the first day. The lawyer in me would still feel better about getting signatures and final deals done well before the start date for mid– and senior– level employees where the termination exposure is much greater for the employer, but this does provide some welcomed flexibility for onboarding processes for front line employees. Very interesting read Lisa, especially the case. Sounds logical that companies try to be as secure as possible. Do you think this method will change in the coming years?